Cell shine. Body polish. Recharge. Energize. 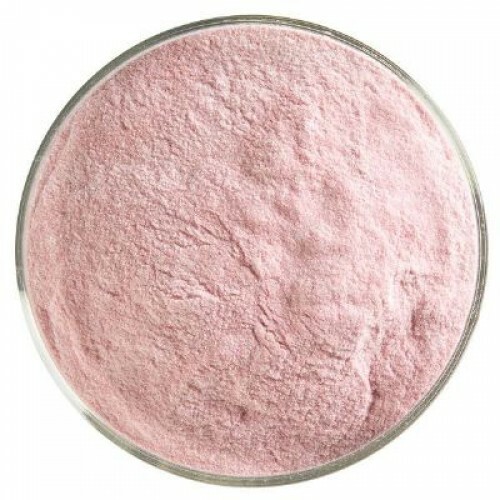 Powders made of exotic berries, roots, and leaves, are of increasing interest in the health realm. The beauty of these soft portable creations is that they contain vital nutrients, preserved in the powdered form of the plant through a process of freeze-drying, cold temperature pressing, or other careful processing. 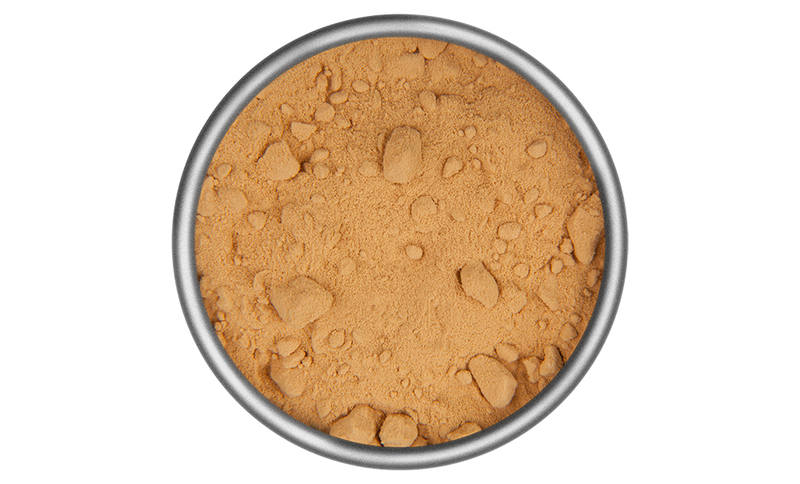 The appeal of these powders is that they contain vitamins, minerals, antioxidants – among other components – that promote healing and prevent inflammation and aging in the body, as well as provide energy and essential fuel for optimal cellular function. Minerals and vitamins and other important components of plant food were more plentiful prior to our current farming practices. Agricultural farming has been influenced by the scientific theory that plants need only three essential ingredients to grow – nitrogen, phosphorus, potassium – and thus fertilizer using only these three ingredients has been preferred in commercial farming of food crops. Prior to the use of the three-ingredient fertilizer, farmers used organic material to fertilize their crops, that contained numerous minerals. This may explain why commercially grown food is larger but less flavourful, than organically grown food, which may be smaller but is more nutrient dense, which also explains its richer flavour. Studies by Dr. Linus Pauling supported his belief that most, if not all, illness, could be traced to a nutrient deficiency. Although this claim could seem extreme, there may be some truth in the lack of adequate nutrients in our soil, and therefore our food. Dr. Linus Pauling did win two Nobel Peace prizes for his work. In 1936, the USA government reported that 70% of its top soil used in agricultural farming, was trace mineral deficient. In 1992, the Rio Earth Summit concluded that “there is deep concern of over continuing major declines in the mineral values in farm and range soils throughout the world”. This was based on data showing that, over the last 100 years, average mineral levels in agricultural soils had decreased in Europe, Asia, and North America, by 72%, 76%, and 85%, respectively. 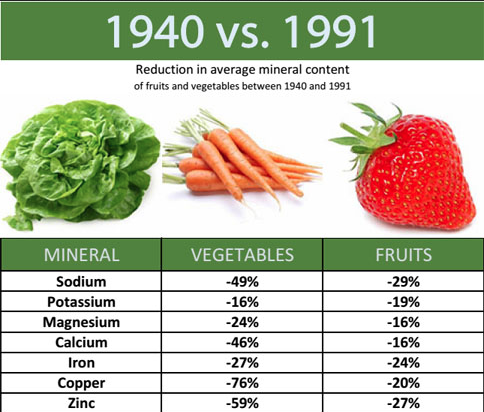 Donald Davis and his team of researchers at the University of Texas found declines in over 53 fruits and vegetables of protein, phosphorus, calcium, iron, vitamin C, and riboflavin, from 1950 to 1999 (Davis et al, 2004, Journal of the American College of Nutrition). The results have been replicated in other studies (Esther G, 2011, Scientific American). Thus, our current food contains many less minerals and vitamins, and other important components, than is needed for optimal function. As a result, our bodies are therefore deplete of necessary minerals and nutrients. Minerals are needed by the human body to aid in the absorption of nutrients. For example, calcium is better absorbed if there is magnesium present. 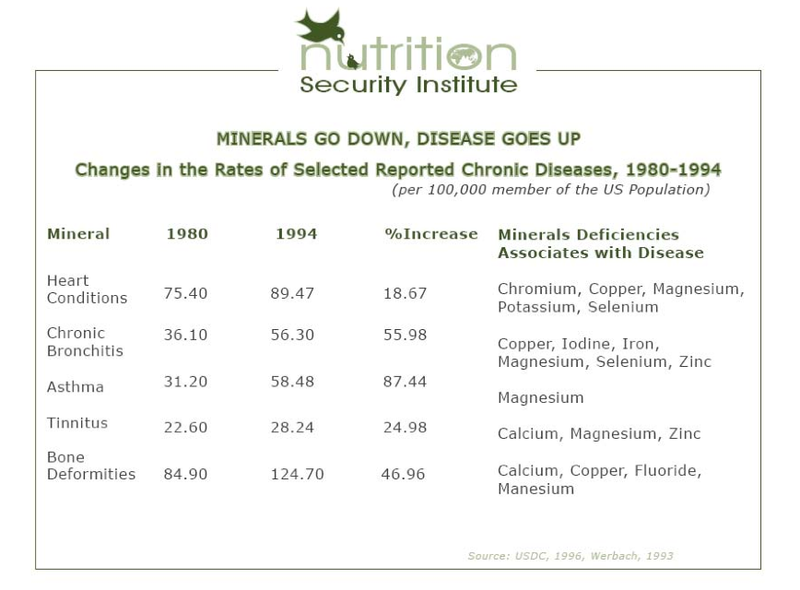 Minerals also activate enzymes needed to break down our foods. 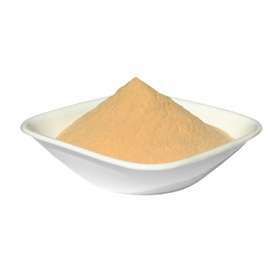 There are seventeen trace minerals considered essential to mammal nutrition, and these trace minerals act either as co-enzymes or as an essential part of enzyme structures. Above: nutrient poor (left) versus rich (right) soil. Source: Lakeforest College. So, the question becomes, where do we get these needed minerals and nutrients, while we await farming practices to increasingly use sustainable and organic methods? Martin Hum recommends sea vegetables, eating organic, supplements, growing your own food, and advocating for agricultural change. Added to this, and expanding on the supplement category, is the inclusion of superfoods in a daily diet. 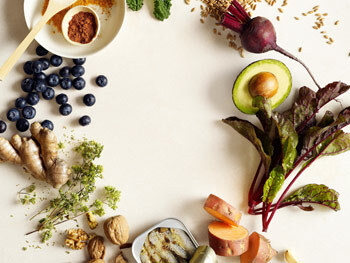 Superfoods contain significantly high amounts of numerous nutrients. One example is shilajit, rich in minerals. A substance produced from the Himalayan mountain range in liquid form, shilajit is transported as either a resin or a powder, and contains over 85 minerals. Healing properties ascribed to it include treatment of pain disorders, digestive difficulties, and cognitive support. In 2012, the International Journal of Alzheimers Disease published an article alluding to possible precognitive abilities, potentially preventing cognitive decline to tau accumulation in the brain. 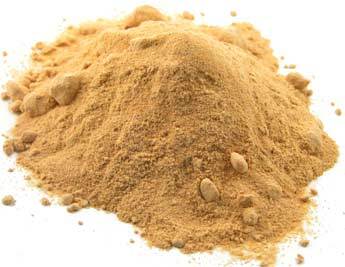 * Other examples of super foods include acerola cherry, yacon root, mesquite, lucuma, maqui berry. For more on these, see Plants. Foods grown in remote regions untouched by agricultural chemicals are also rich in nutrients. If you enjoy chocolate, whether as a treat, a pick me up, or as a ceremonial experience, Giddy Yoyo and Wise One Superfoods chocolates both state their contents have been sourced in volcanic soils or forest soils rich with minerals and vitamins, in all organic and fair trade processes. During a time when our earth is being challenged, relatively untouched areas are being invaded and exploited for money and power rather than nurtured and celebrated for the rare treasures of plant and animal life they contain, we need to nourish our bodies and spirits with optimal energy. One way to do so, is to choose sources of nutrients and minerals that will clarify thinking, support physical energy, enhance mood, and energize the body and mind to engage in the world in a way that enhances the life of our planet, and the beauties of rock, plant, and animal forms that each person can take a step to protect. *Wild harvested shilajit can be found at Eternal Abundance, Commercial Drive, Vancouver, BC, Canada.